Wild Burrowing Owlets in Cape Coral, Florida. 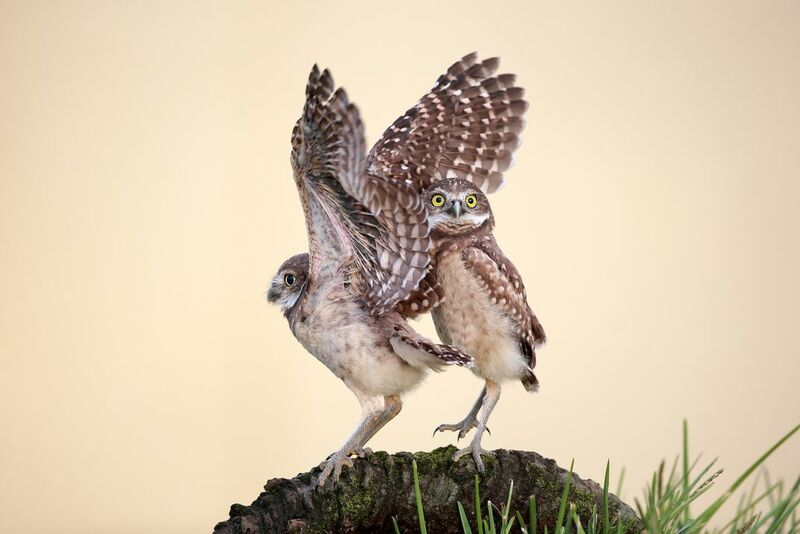 I felt sorry for the poor Owlet on the right who was pushed around when his sibling started to try and take flight. Date Uploaded: Nov. 15, 2015, 3:05 a.m.